We support the school curriculum with games to practice core Math, English as Second Language (ESL) and Science skills for primary level children. 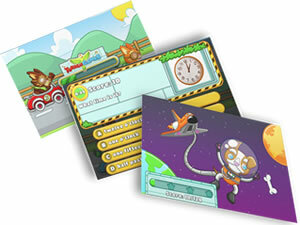 Our games are fun and intuitive, allowing kids to drive the learning in the classroom and at home. Simply decide on a skill, pick a game and start practising. The games work across all browsers and devices. Play these fun math games by level from Kindergarten to 5th grade. Play ESL and language arts games to develop grammar, vocabulary and reading skills. 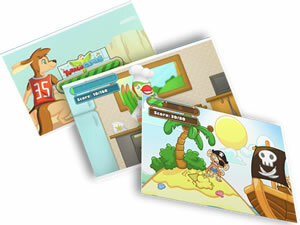 Turaco Games is on a mission to make learning enjoyable and engaging for young learners. We gamify the school’s math, science and ESL curriculum so learning becomes fun. When learning is engaging, it is effortless for teachers and parents as learners drive the learning. But what is with the Turaco name? Our name was inspired by the legend of the Bannerman’s Turaco, a species of the turaco that is mainly found in montane forests of the North West region of Cameroon. 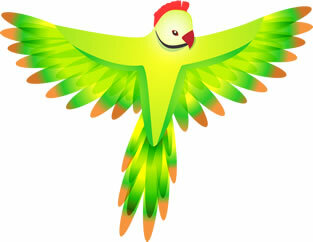 The bird is in danger of extinction due to habitat loss. Its bright red plumage has been used for centuries by local tribes as awards to distinguished members - the same way medals of honour are awarded to deserving individuals in other countries. The Bannerman’s Turaco has always had one trick up its sleeves against hunters. Until recently, it has evaded capture and survived by sitting very high on mountain treetops. You can hear its call from a distance but even then still takes some searching to find it. It is as if the turaco has been playing clever games against hunters all this time. Sadly though, it is in danger as humans have been cutting down the trees which turacos have used as shelters. However, all is not lost. We can educate our children through science to understand the importance of protecting species such as the turaco. With Turaco Games and its educational content, the future is looking bright for turacos and other animal species in a similar situation.